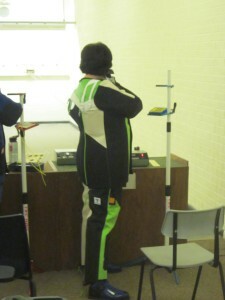 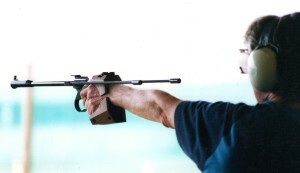 Standing, using single shot equipment, either spring powered or, more often, powered bycompressed air, with open sights (as opposed to telescopic or other optical). 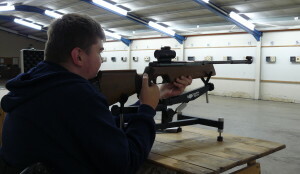 Prone using single shot rifle, a sling, and open sights. 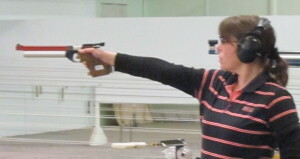 Standing, single-handed, unsupported, using single-shot equipment with open sights. 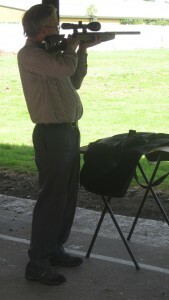 Please note that the club cannot hold .22 rimfire long-arm” pistols. Any sights, single or multi shot.